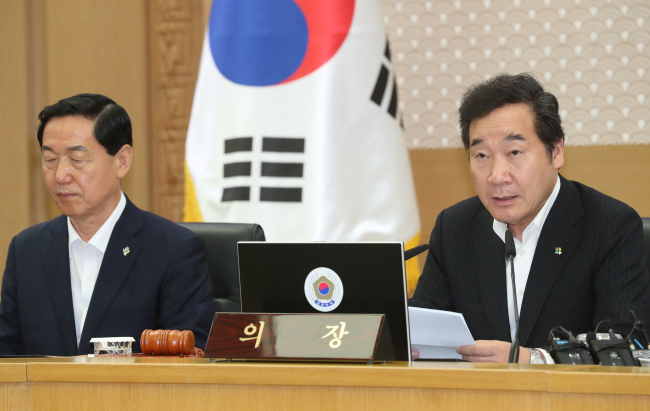 The Cabinet approved a 3.14 billion-won ($2.82 million) budget Tuesday for operations of the independent counsel team charged with looking into allegations that a power blogger tied to ruling party officials manipulated Internet comments for political purposes. Special prosecutor Huh Ik-Bum was appointed earlier this month to investigate the opinion rigging scandal involving close associates of President Moon Jae-in. After 20 days of preparations, his team is set to kick off the probe Wednesday, which can last for up to 90 days. The Cabinet approved a measure to provide the budget from the government's reserve funds. The scandal centers on allegations that the blogger, known by his nickname Druking, and his team manipulated comments on Internet news stories in an effort to sway public opinion on hot-button political issues in favor of the now ruling Democratic Party.